The aim of this paper was to demonstrate the treatment outcomes following immediate functional loading concept of short implants inserted for single tooth replacement in the posterior maxilla. 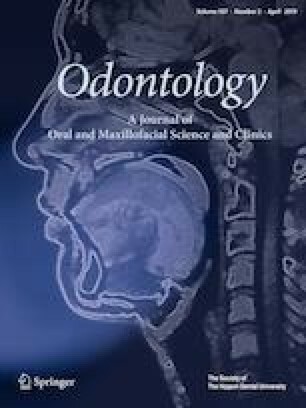 The study was performed on 63 patients who received short (6 mm) implants for single tooth replacement in the posterior maxilla. Forty-eight patients underwent immediate functional concept, whereas 15 of the implants were loaded 3 months after insertion. The patients were evaluated for up to 5 years after prosthesis completion. The endpoints included the evaluation of implant survival rate, crown length, bone resorption, plaque accumulation (PI), bleeding on probing (BOP), periodontal probing depth (PPD) and assessment of oral health impact profile (OHIP). At the end of the follow-up period of 5 years, three implants (6.3%) from the immediate loading group have failed during the observation period. Bone loss was significantly lower in the delayed loading group compared to the immediately loaded implants. At the end of the second year, BOP values were higher in the immediately loaded group. Throughout the observation period, PI values in the group with immediate loading were higher. PPD increased consistently and during the first 3 years in the immediate loading group. As a conclusion, short implants inserted for single tooth replacement at the posterior maxilla presented with satisfactory clinical outcomes in both immediate and delayed loading concepts. However, immediately loaded implants presented with an increased bone loss and higher BOP values. As assessed by the OHIP score, a subjective improvement was observed in both groups without significant differences. The authors would like to thank Mrs Eylem Ugur Gülses for conducting the statistical analysis of the manuscript.